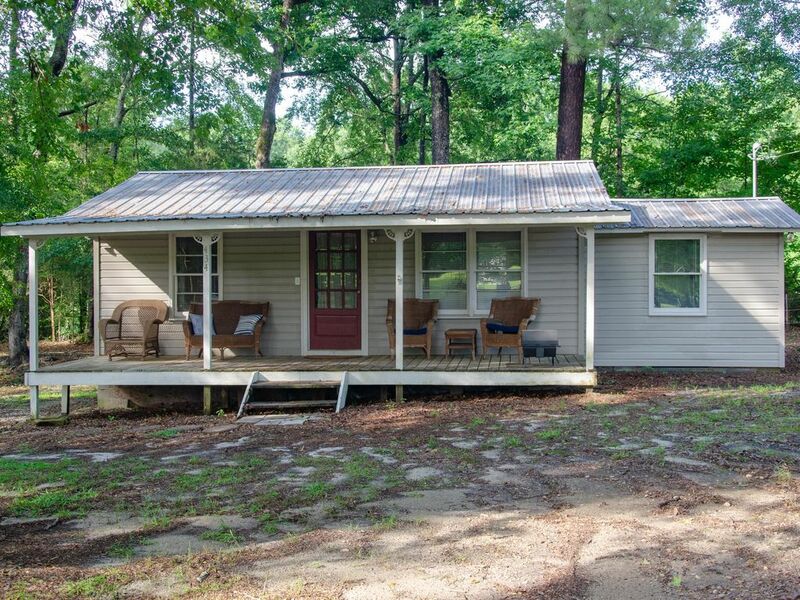 Great Auburn game day cabin or short term rental. Located 5 miles from Auburn University and 3 miles from I 85, with quick access. Enjoy our cozy cabin nestled on 8 acres with access to 3 stall horse stables. One bedroom with queen size bed and 2nd room is located off the kitchen which has a full size bed. Full bathroom with shower/tub. Includes cable TV, washer/dryer, linens and basic kitchen items are provided. Adam & I have lived in Auburn since 2005. We both graduated from Auburn University. We were also raised in the area, Adam graduating Columbus High School and myself from Opelika High School. Adam & Shannon Crews did not disappoint! We had such an amazing stay! when searching for clean & comfort look no further, vintage décor & amazing lighting. Cant wait to book again! The location is prime. Surrounded by beautiful property and very quiet. Will stay again. My brother and I enjoyed our stay immensely. Very relaxing and comfortable. Located just miles from Auburn so the ease of access to town is perfect. While at the cabin, the only noise you will hear is occasional hollers from the pair of donkeys next door. Everything you need is there. Just bring your food/drinks and luggage. Can’t wait to come back. Overall, we had a good stay. The cabin was clean, well stocked, and within 10-15 min to campus. The only disappointment was the queen bed in the main bedroom was very uncomfortable. It was also loud and squeaked any time you moved at all. So we didn’t sleep well. Our 3 year old slept in the other full-size bed, and that one was much more comfortable. Thank you for your feedback, new mattress is going in! Great cozy cabin! I definitely plan on booking again in the future. Wonderful little cabin, very clean and comfortable. We stayed at this little place for the Tennessee vs Auburn football game. Being a Tennessee fan, and having never been to Auburn before we were a little unsure of where to stay. For parties of about 4 people this place is perfect, and a very short drive to campus. Would for sure recommend this place to anyone visiting Auburn, AL.